This is a safe place, right? 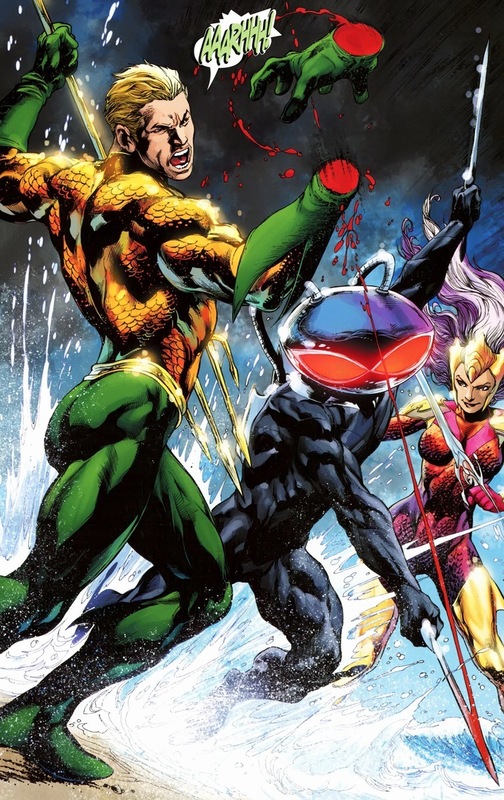 I’m going to be honest: I like Aquaman, but I don’t know why. The whole ocean angle is cool, but there’s nothing particularly remarkable about the wettest superhero in the DC universe. Truthfully, I think half my enjoyment of his stories come solely from him stabbing people with a trident. Is it because his name is Arthur? But I’m trying, okay? I want this website to be a place of positivity instead of the flood of anger and rudeness that normally pours out of the comic book community, so I’ll do my best to fall in love with Aquaman. I won’t friend-zone him, I promise. And today (and Friday) certainly help his case. 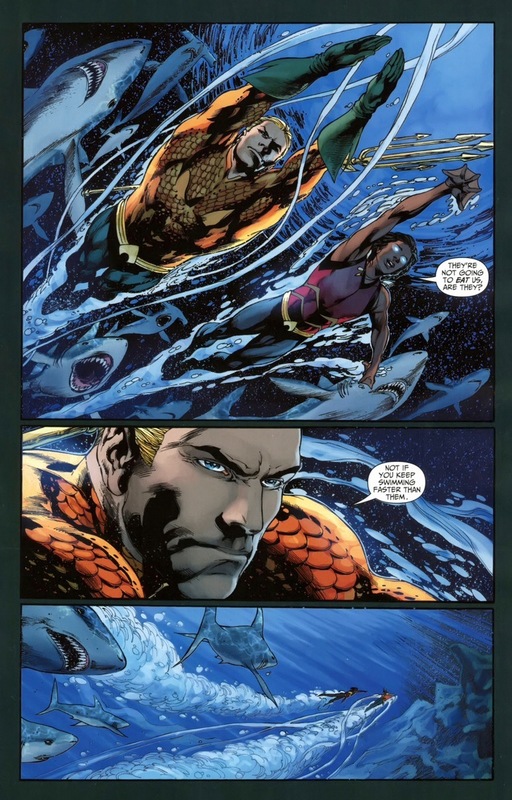 This fight begins like all good Aquaman battles — the ocean climbs out of the surf to conquer the surface world. 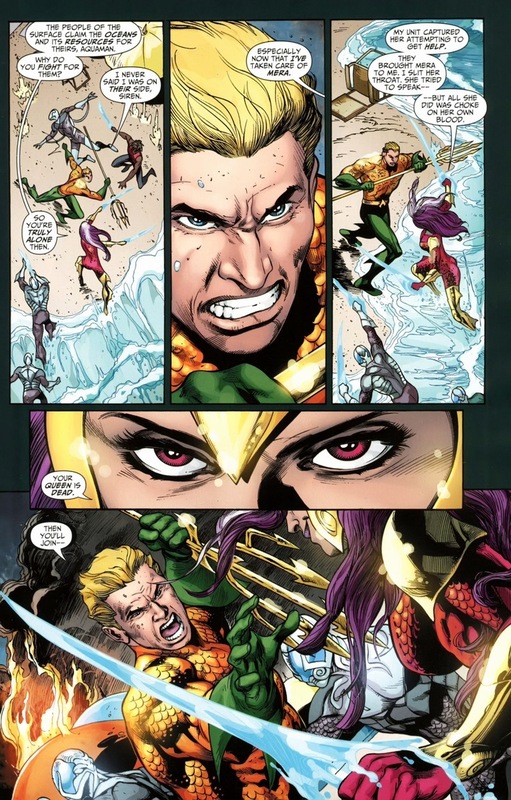 Only Aquaman can stop this invasion, but — as you’ll protest — he’s from the ocean himself! 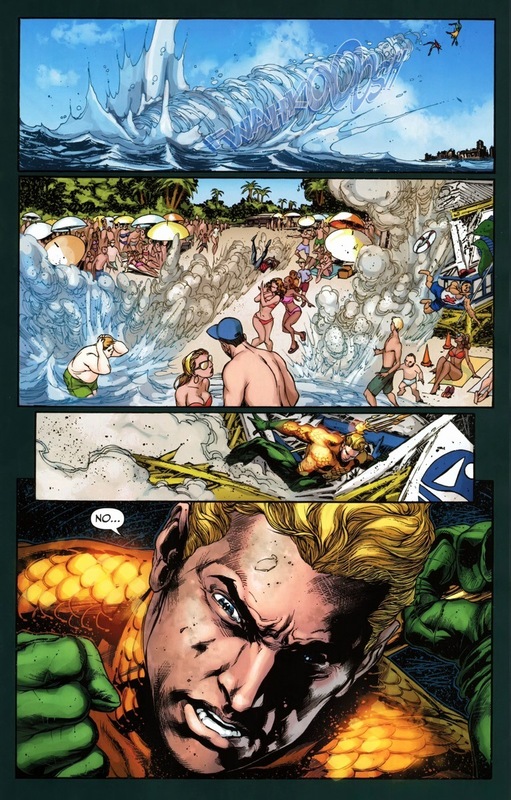 That’s right, dear readers, Aquaman fights against the sea itself to save these ungrateful normal land people. For the hundredth time. Still, I’d be lying if I didn’t enjoy the spectacle of shark monsters and water soldiers climbing onto a beach — like an evil majestic Normandy. 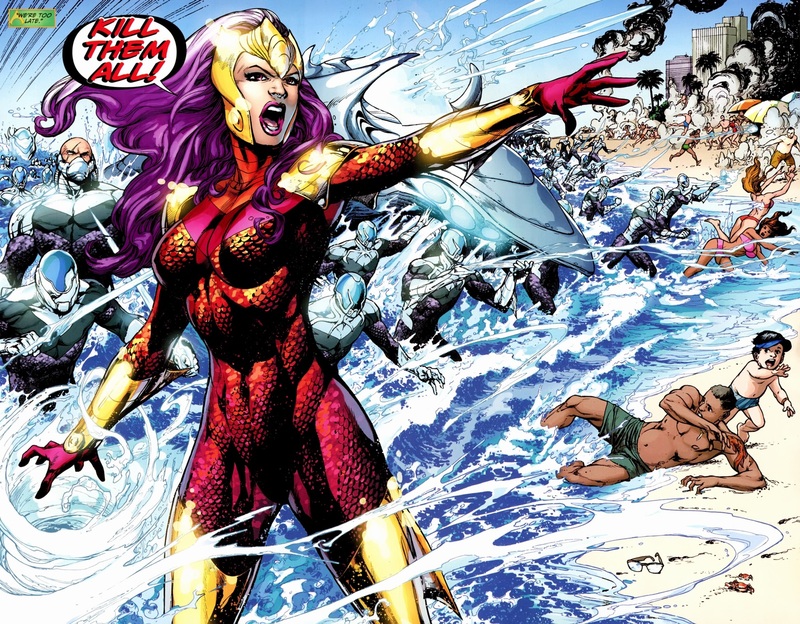 Notice how the mean lady looks similar to Mera? Meet Siren, Mera’s younger sister. They both come from the alien ocean world of Xebel, who wants to kill Aquaman for illegal riding whales or something. Look, I don’t do as much research as I should. 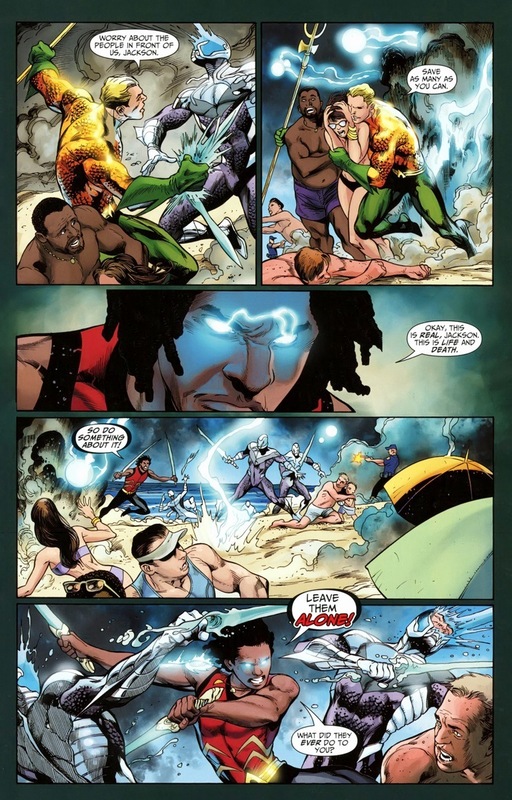 What’s important is Aquaman and Aqualad stand alone against an army of bad guys. Seriously, I think it’s only Superman and Batman (and maybe Flash) who are the only DC superheroes who don’t kill. Wonder Woman’s slain more dudes than most supervillains, and Green Lantern has space-blasted hordes of aliens in his travels. 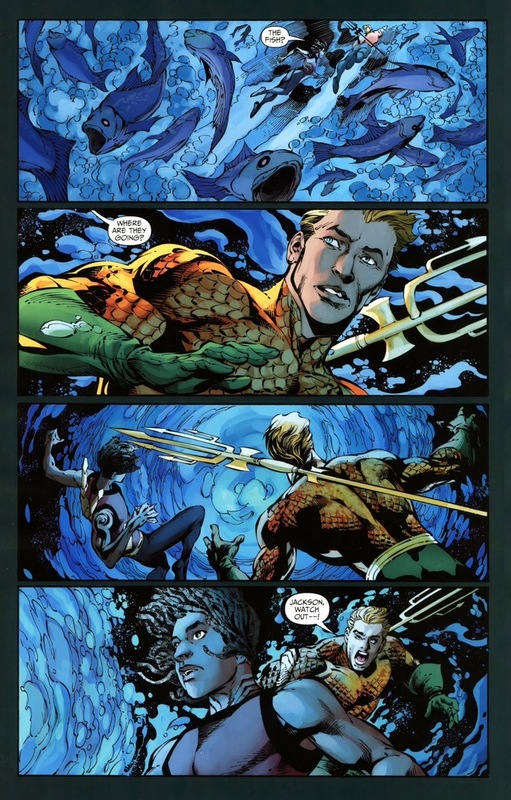 Even Aquaman doesn’t really have much of an issue with open threats of murder. 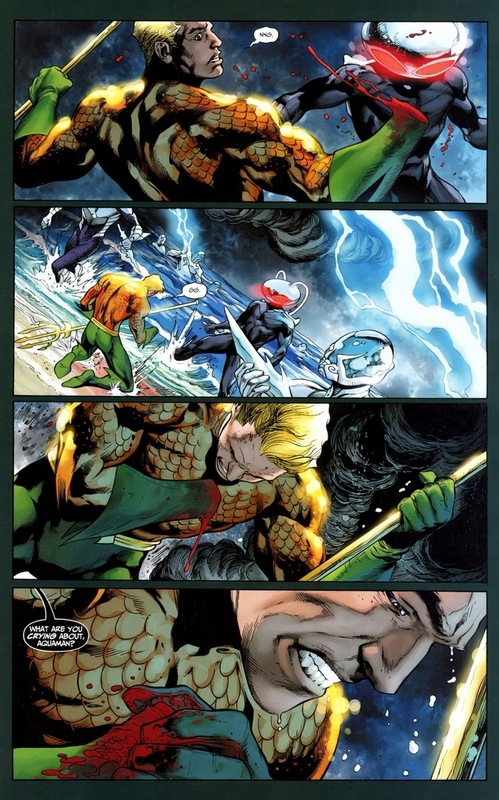 But luckily for our protagonist, Aquaman just came back to life a few months before this. Everything’s cool again — all his body parts are in the right spot and he’s back in his normal outfit again. Life’s going to turn around for our sea king just as soon as he takes out Siren and her goons. It’s not as if something horrifically traumatic and disfiguring would happen to him now. The writers have to wait for low sales before resorting to anything dramatic. Breathe easy, my friends. 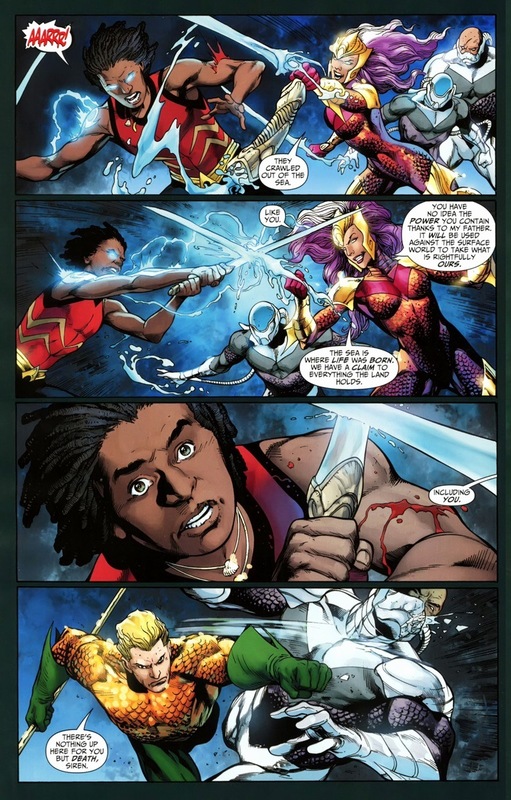 Aquaman’s going to be okay. 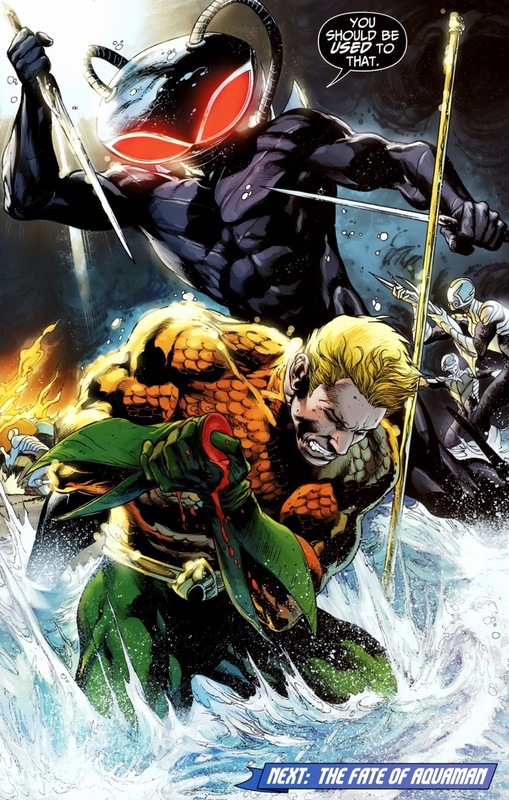 Next time: the fate of Aquaman. Anything can happen now! The gloves are off (literally)! I’m excited too!